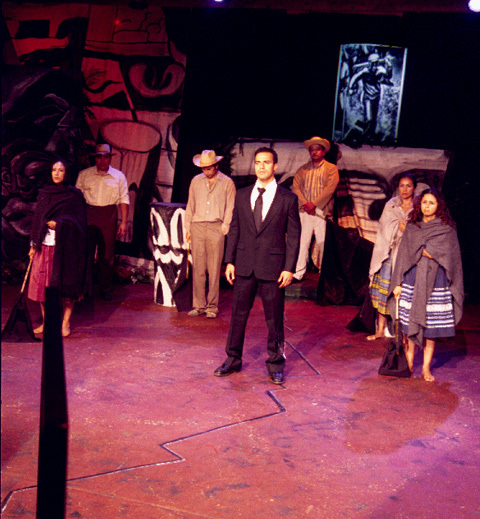 Juan Devis’ Tropical America compares Latin American history with the destruction of artist Alfaro Siqueiros’ mural of the same name in Olvera Street, Los Angeles. 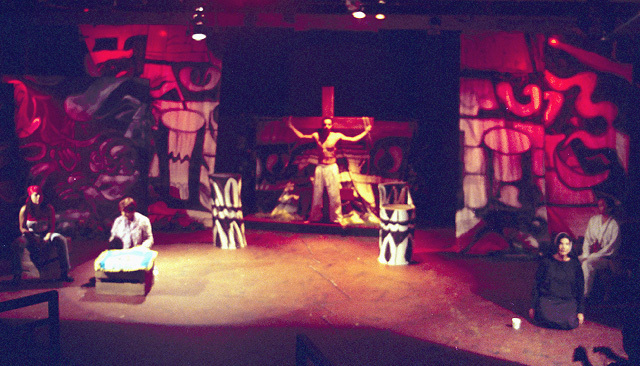 The eleven scenes were set against a contorted black-and-white version of the mural, as if it were pages of Siqueiros’ sketch pad. 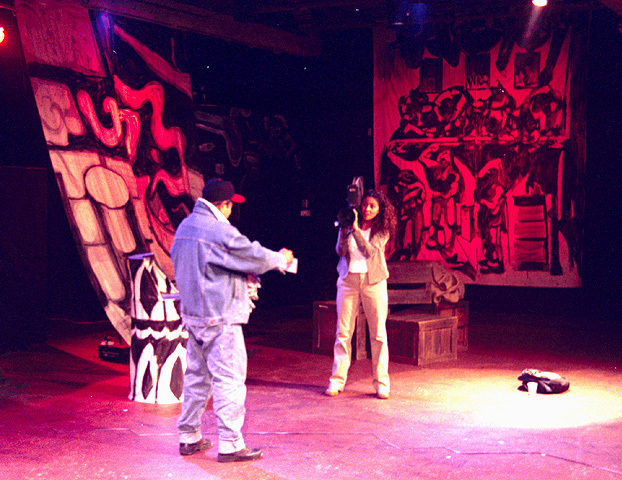 A Siqueiros mural and one of his studies served for other images on the set. 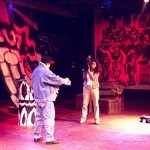 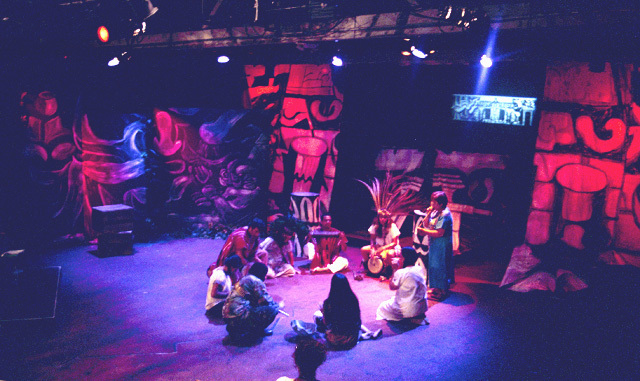 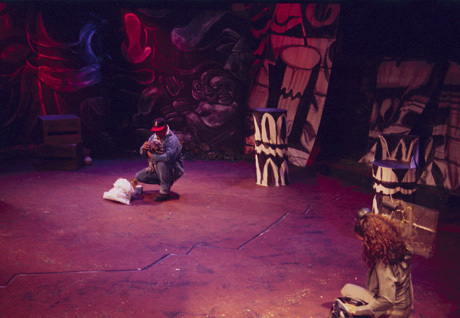 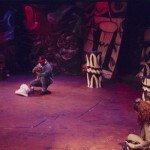 Upstage center, additional Siqueiros images were projected, along with information contextualizing each scene.